Old Ellicott City has a long history of strength, growth and resilience. Many generations of entrepreneurs have called Main Street home and the hope of many is that the tradition will continue. The businesses and residents affected by the flooding on July 30 will need all the help they can get and many organizations and businesses are already offering an incredible amount of support at this time. The town is not yet ready for physical volunteers, but donations, moral support and positive thoughts can be used immediately. If you&apos;re looking for a way to help, please read through the list below. Updates to this post will be made when available. The Ellicott City Partnership is currently accepting financial donations that will be used to assist merchants and residents with flood recovery. Click here for more information. Preservation Maryland has set up an emergency flood recovery fund to aid in the repair and restoration of the City’s historic Main Street community and storefronts. Find more information online at https://www.howardcountymd.gov/ECStrong-Recovery-Resources. The Howard County Arts Council is establishing Re-create: Ellicott City Artist Relief Fund to aid to the many artists with studios and galleries in Ellicott City who suffered substantial losses of artwork and studio space. They will be extending their current exhibit, Paint It! Ellicott City 2016, until the end of September with a portion of the proceeds from the sale of this work donated to the fund. Several Paint It! artists have already generously agreed to donate 100% of their sales to help the relief effort. The Arts Council is also accepting individual donations to Re-create. Neighboring Sykesville is ready when the call for volunteers does arise. Check out their Facebook event to see what they&apos;re planning as things unfold. A La Mode Boutique is selling "Hope" and "Believe" bracelets for the Ellicott City recovery efforts. 10% of all bracelet sales will go to the Ellicott City Partnership and the rest will go to help them rebuild their Main Street shop. On Aug 27, Victoria Gastro Pub is holding the #ECStrong Beer Challenge Festival from noon to 4 pm to benefit the Ellicott City Partnership. 150 tickets are available and Manor Hill Tavern and Land Design & Development will also match, dollar for dollar, each ticket sold. 100% of the proceeds will go to the Ellicott City Partnership. Attendees will receive a commemorative glass, beer tastings and passed heavy hors d&apos;oeuvres. Dimitri&apos;s International Grill, "The Dig" is holding a fundraiser on Saturday, Aug 27 with prizes, 50/50 raffle, guest bartenders, happy hour all night and live music! EVLUTN Apparel is a Howard County-based clothing company. 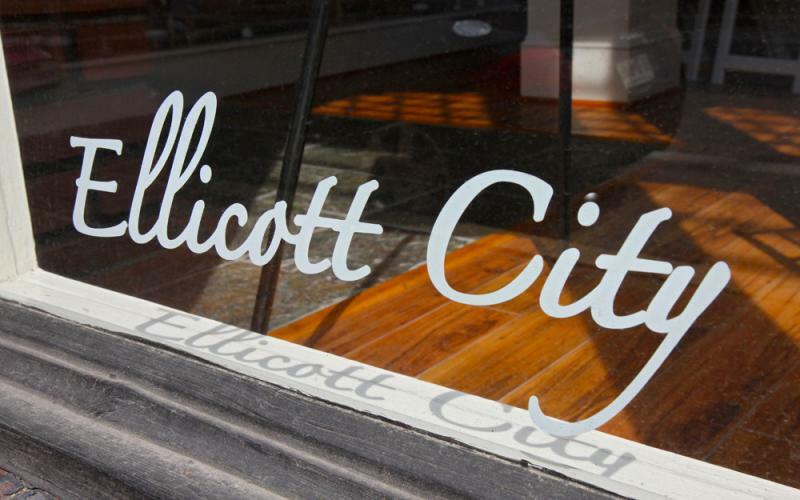 They are lending a hand by creating custom tee shirts that pay homage to the history of Ellicott City. All proceeds from the online sales will help community members in need. The National Center for Citizen Safety is donating $10 from every 5K registration (starting August 5). Make sure to put "ECSTRONG" in the comment section of the registration form. Dock Street is hosting a fundraiser to benefit Ellicott Mills Brewing Company with guest bartenders Timmy Kenzki (from Ellicott Mills) and Annapolis&apos; own JB Jaeger. This event will raise money to provide relief for the EMBC staff who are indefinitely out of work as the damage to Ellicott Mills Brewing Company is repaired. An Etsy shop has created an Ellicott City "Hope is Higher Than Water" sticker and profits will go toward the relief fund. Find it here. Etsy store &apos;An Adventure Awaits&apos; is selling a custom greeting card made for Ellicott City and is donating 100% of the proceeds from card sales to the small businesses affected by the flood damage. The Catonsville Chamber of Commerce will be seeking donations for Ellicott City&apos;s flood relief efforts during their next four Frederick Road Friday concerts, the Arts & Crafts Festival on September 11 and the Chamber&apos;s Crab Feast on September 30. The Chamber has also partnered with EmboidMe Catonsville to produce a t-shirt, these shirts will be given to each person who makes a donation of $10 to the fundraising effort. 80% of the proceeds from sales of this Ellicott City art print will go to the Ellicott City Partnership or be donated to the GoFundMe efforts of individual businesses affected by the flooding. 1304 Photos is selling select 11x14 prints of the devastation caused by the flash flood for $40, 100% of the sales will be donated to help store owners rebuild their businesses. The Korean Society of Maryland and Howard County Korean Society has started a fundraiser to support residents, business owners and property owners impacted by the flooding. 100% of the proceeds from the sale of this t-shirt will go towards replacing the iconic Ellicott City clock. Take part in the #ECSTRONG virtual run on Sunday, September 4. All proceeds from the entry fee will be donated to the EC Partnership to help these businesses and residents rebuild. Terry&apos;s Tag & Title would like to offer the victims of the Ellicott City flood to turn in their plates from their vehicles to their office free of charge. Use the code ECFLOOD. Head to the Soccer Stop in Columbia for a FREE dance party to help raise funds for Robin Holiday & her Ellicott City store, HorseSpirit Arts Gallery. Staub Art Studio Ellicott City Fundraiser is Sunday, September 18 from 1-4 pm. Under the direction of Maria & George Goebel, students will complete a 9"x12" pen & ink drawing with watercolor washes of their favorite Ellicott City scene. No previous art experience needed. All proceeds from the 98Rock I Heart EC t-shirt will go to benefit the Ellicott City Partnership. 100% of the proceeds from this ECSTRONG t-shirt will be donated to the Ellicott City Partnership. 100% of sales from this Etsy shop will go to support Ellicott City for the next two months (starting August 5). Woofbooks will donate a portion of sales in September to the Ellicott City recovery efforts. Maryland My Maryland is selling t-shirts to benefit the Ellicott City Partnership&apos;s relief efforts. The Artists&apos; Gallery in Columbia is donating part of the proceeds from the August show to the Ellicott City Partnership. The show, which runs through Sept 2, is called "Ellicott City Flood Relief Fundraiser." Luna Bella Ristorante in Columbia is matching 100% of cash donations given at the restaurant to benefit the Ellicott City recovery efforts. Local folk-rock band ilyAIMY is donating all proceeds from music sales on Bandcamp in August to the Ellicott City Partnership. This Labor Day weekend you can aid the workers, businesses and residents of Old Ellicott City while having fun with robots! SuGO Battle Bots combines NXT Mindstorms with the sport of Sumo wrestling. Mary Kay by Amber Dadourian will be donating 25% of proceeds from sales in August to the Ellicott City Historic Partnership. Details can be found here. Old EC Paint Night Fundraiser on August 31 at Nottingham&apos;s in Columbia. $30 for every $45 ticket sold will be donated to the United Way of Central Maryland&apos;s established fund for EC humanitarian relief. Five Oaks Swim Club will be hosting a benefit concert to support Ellicott City&apos;s Portallis on Saturday, September 10. Stella Notte is having an Ellicott City benefit reception on Saturday, September 10th. There will be hors d&apos;oeuvres and drinks, a silent auction, Chinese auction, raffles and a massage therapist onsite performing complimentary chair massage. 100% of proceeds will go toward the recovery efforts. $10 from every race registration for the 2 Miles for 2 Hearts run from August 1 on will be donated to the Ellicott City Partnership. Escape Artists, an artist owned and run gallery located in the heart of historic Mount Vernon is hosting an Art show featuring work by local artists in an effort to raise money to help the residents and business owners of Ellicott City rebuild their homes and businesses. Support those affected by the Ellicott City flood by having fun at the YARD! $5 from every ticket sold for the Orioles game against the Arizona Diamondbacks on Sept 23 will be split between two funds. One is for downtown Ellicott City residents and businesses thru the Ellicott City Partnership and the other is for residents in the surrounding areas who had damage done to their homes with money going to the Howard County Community Relief Fund. Next Day Floors is offering a 25% discount and 24-month interest-free financing with credit approval for Ellicott City homeowners and businesses affected by the flood. Ascension Counseling Services in partnership with Church of the Good Shepherd in Catonsville is offering free, short-term crisis counseling to businesses, employees, and residents who were impacted by the Ellicott City flood. 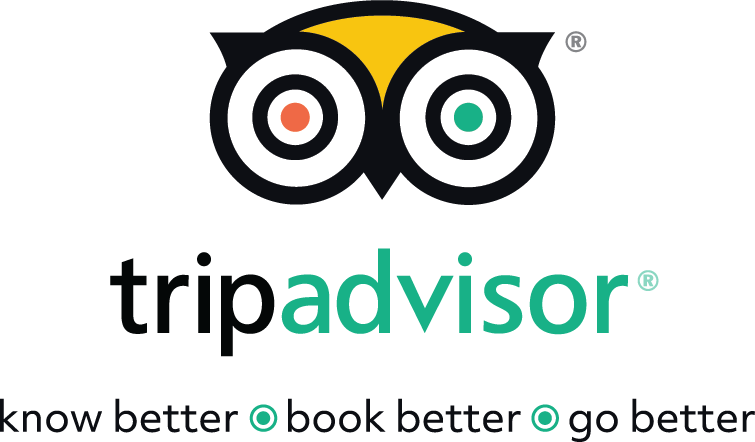 Please contact us at 410-455-0098, Ext. 3, or email to Admin@AscensionCounselingServices.com to schedule a group session for your employees/family, or individual sessions. If you&apos;re looking for a way to support your favorite Main Street business, these Go Fund Me pages have been set up on their behalf. **There are more funds being created, please refer to this search for additional opportunities. Individual Go Fund me pages are not always verifiable, please double check before making any donations you&apos;re unsure of.